Welcome to Sanford School District! Our new website is currently under construction and is in the process of being completed. Check back often for new updates. MISSION: To offer today's students a universal education in a safe, rigorous, and engaging environment that will inspire their greatness, prompt their creativity, push them to achieve, encourage their personal growth, and prepare them to be tomorrow's leaders. VISION: A caring community that serves, engages, educates, and empowers all to excel. HISTORY: Sanford School has a long history of academic greatness leading up to our present day State Accreditation Rating of Accredited with Distinction. We are one of twenty-two districts in the state Colorado receiving this, the highest rating. The community’s commitment to education is obvious by their willingness to sacrifice in establishing and maintaining a school within the town of Sanford. 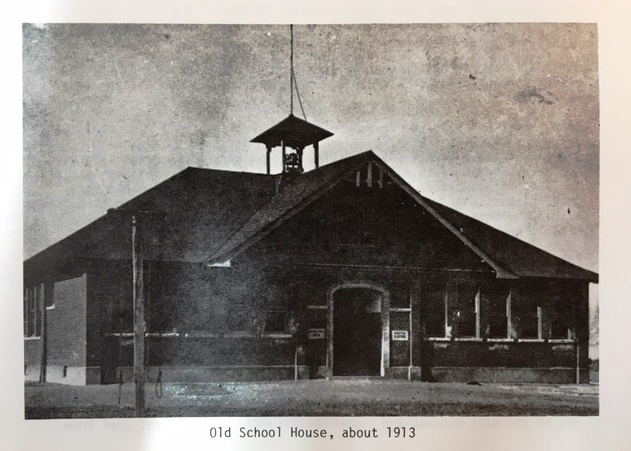 SCHOOL BUILDING HISTORY: The first schoolhouse was erected in the late 1800’s and in 1896 a new red brick school building with four rooms was constructed. It stood close to our present day Community Center is. A six classroom structure was erected in 1913 and stood on the same block as our present day school. On November 25, 1916 fire destroyed the school house and left only the foundation standing. A new school house was built on the same foundation and was ready for students in the fall of 1917. Students attending at this time were offered classes through the 10th grade. Students wishing to further their education were bused to the Academy in Manassa, Colorado. A new high school was built in 1923 to accommodate classes through the 12th grade. The first high school graduation from this new school was held in the spring of 1924. The Elementary School burned for a second time in the spring of 1937. The WPA program operating at this time offered the community a chance to build a new school with a gymnasium. The building and gymnasium was completed in the fall of 1938. Student growth continued and with more students came the need for more classrooms. Over the next 65 years the school was added onto several times. These additions included a new gymnasium and upstairs classrooms in 1967. A mini-gym, wrestling room and band room were added in the early 1970’s followed by a metal building for shop classes. Renovation continued and an elementary addition including enlarging the cafeteria took place in the 1990’s. Original classrooms were expanded also at this time. Thanks to a capital construction grant, a new high school wing consisting of classrooms, computer lab, main gymnasium, weight room, wrestling room, concessions room, locker rooms, and an aquarium were added in 2002. By this time, the original 1938 building was worn out and had served its purpose faithfully for many years. In 2011, the Sanford School District was the recipient of a BEST (Building Better Schools Today) grant. The community supported the grant by passing a bond to generate 1.2 million dollars of the $22 million dollar school. The present day Lead Gold School was completed in 2013 on the same block as 1913 school building. The structure built in 2002 was renovated as part of this project. The Sanford School District would like to thank Mary June Miller for her publication, We Call It Home, from where much of the information about the history of the Sanford School District was taken.